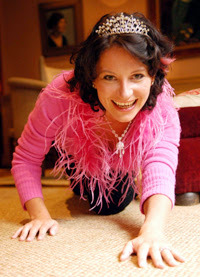 I recently got the opportunity to sit down and ask the lovely Meg Cabot some questions about her new book, Princess Mia, and several other things as well, such as what the deal was about all those books being made into movies, her upcoming books from Scholastic, and her inspiration behind Princess Mia. TCR: First of all, I thoroughly enjoyed Princess Mia. In it, you explored a more serious topic than the rest of the books in the series: depression. I believe that you did an excellent job in making sure it was conveyed in a very realistic way. What made you decide to have Mia go through depression? MEG: Thanks! Well, the Princess Diaries has always been semi-autobiographical (not the princess part, of course), and when I was Mia's age I went into a deep depression (over my SAT scores, though, not over a relationship). So I was writing from experience. I've always plucked parts of my own life and stuck them into Mia's, and I wanted to make sure I got the depression part in there--so many teens go through it, and yet there's still this kind of weird belief that only "freaks" ever go to psychiatrists. Not true! Lots of "normal people" do, too. I'm glad you felt it was true to life, because it was based on real life! TCR: Dr. Knutz is certainly a unique character. Was he based on a person you have met? MEG: Ha, thanks. He was based on my therapist when I was teen. Even his name (which I changed a bit). I was really mad at my parents for picking out such a seeming weirdo, but he was so full of common sense and so practical (I said to him, "I can't sleep at night because I drink too many Diet Cokes!" and he said, "So...quit drinking Diet Coke! "), he ended up really helping me, just as Dr. K ends up helping Mia. TCR: Rumor has it that you have decided to write a fourth novel in the Heather Wells series. Keeping in mind I haven't read Big Boned yet (it is most definitely on my to-buy list), can you tell us what that might be about without giving away too much? Possibly the Tania Trace summer camp as suggested in the back of the first paperback edition of Size 12 is Not Fat? MEG: Ah, no, not the Tania Trace camp. If you've read Big Boned, you'll see why that won't work (don't worry, Tania doesn't die...it's a happier reason than that). Maybe some day I'll do a book set in the Tania camp though. No, the fourth book will be set during a wedding. I won't tell you whose though. I just don't when I'm going to find time to write it, because my schedule is seriously clogged up right now! TCR: You have mentioned that you will be having new books coming out under Scholastic, such as Airhead, and another paranormal novel. Can you tell us anything more about those books, and if there will be more of them? MEG: Yes, both Airhead and Abandon will be series. Right now only the first Airhead book is scheduled for release in June. The first Abandon book is still kind of up in the air schedule wise (it was scheduled for a Summer 2009 release but now it's been pushed back because the second Airhead book is scheduled for release then). I can't really tell you what Airhead is about (though you can zip over to Amazon and look it up) because if I say too much it'll give it away. A big chunk of the plot is the heroine finding out for herself what's going on, so if I tell you, it will spoil it! So, I'm not going to say anything. All I can say is, it's not magic, and it's not a Freaky Friday body-switching plot. It's more sci-fi (but there are no aliens, and it's not set in the future). There's a definite bad guy (more than one actually), and some of them are hot. Oh, and there's a really cute poodle named Cosabella, which is a brand of underwear. TCR: Rumors have been flying all over the place about many of your books being optioned to be come films. Can you clarify which ones have and have not been optioned? MEG: Actually, I can't, because some new things have been optioned, but the contracts have been signed or announced yet. And because of the writer's strike, there's been a "force-majeure" put on some things, which means, no movement. But basically, Avalon High has been optioned for a television movie by Disney; How to be Popular has been optioned for a television movie or series by MTV; the Queen of Babble series has been optioned by Jeff Sharp of Sharp Productions, who did Proof and Nicholas Nickleby; and the Mediator series has been optioned as either a TV series or feature film by Julia Pistor, who did Lemony Snicket and the upcoming Spiderwick Chronicles. TCR: When talking with some of the readers of my website, I've found that they're split half and half on whether or not they liked Avalon High being continued as a manga, and some even refused to consider checking out your new manga books. Because I haven't read The Merlin Prophecy yet (another one that is on my to-buy list! ), I often find myself at a loss as to what to say to these people. What would you say to these 'doubters', and is The Merlin Prophecy doing as well as you had hoped? MEG: Honestly, it's a personal thing. I love graphic novels and comic books, and I would categorize The Merlin Prophecy as much closer to those than to a manga. So of course traditional manga lovers hate it. And of course people who don't like graphic novels hate it because it's not a novel. I understand, and that's fine. If you don't like it, don't buy it. Pretend it never happened. I do that with Princess Diaries 2, the movie. But I still acknowledge that a lot of people loved PD2, and hey, every day I get emails from people who freaking loved that movie. And every day, I hear from people who love the manga. So acknowledge not everyone has the same taste as you. And move on. TCR: In a recent poll on my site, Ready Or Not was voted the most popular of your books. Have you ever considered writing a third American Girl book? MEG: Really? No, I never have thought about doing another one. I'm not sure there's any new place to go with those characters without breaking them up, and I'm not going to do that, so I'm leaving them where they are. I do sort of feel like the main character of my new series, AIRHEAD, is very Sam-like, though. TCR: I believe that one of the reason so many readers like your books is that each of them is so unique and different. 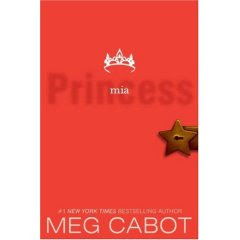 In a series with so many installments, such as The Mediator, and especially The Princess Diaries, how do you keep each novel fresh, and from being repetitive after a while? MEG: Hmmm, well, each of those series is based on a period of my life. For instance, the Mediator books are based on a period when my family and I moved to Carmel, CA, and I attended the Mission School, just like Suze (though of course I didn't see or speak to ghosts). Within the confines of the series, I was able to "keep it fresh and real" because most of the non-ghost related things that happened in those books really happened (the shoe thing with the blisters; I really did have an albino friend there; working as a babysitter at the fancy country club; etc). Same with the 1-800-Where-You series. Same with All American Girl. Same with The Princess Diaries. I really lived and felt those things. Except the psychic, save-the-president, princess stuff, of course. TCR: What is one of the hardest parts of being a writer? MEG: Oh, probably doing interviews. JUST KIDDING! TCR: Are there any questions I didn't ask that you wish I had? MEG: I wish I had a witty reply for this. People always ask it! I wish you'd asked....If I can name all fifty states in alphabetical order under 30 seconds. Because yes, I can. But I can't prove it, can I? Unless you see me in person! TCR: Thanks a lot for taking time to answer my questions! MEG: You're welcome. Thanks for interviewing me! Just a quick reminder (yet again) to enter the Prey giveaway. Just send me your name, email, address, the title of the book you are most looking forward to in 2008, and the book you are reading/just finished in an email with Prey in the subject line. All entries must be in by Wednesday! Great interview! You asked some really good & creative questions. It was fun to read.